Freightview allows you to know you have the power to pick your cheapest carrier option on every single shipment. We know that isn’t always the best choice-- sometimes transit time or preferred carrier matters more. However, wouldn’t it be impactful to know how much money you saved by choosing the cheapest carrier when it made sense? From here you can choose what date range you want to see. I have chosen a month for this example. 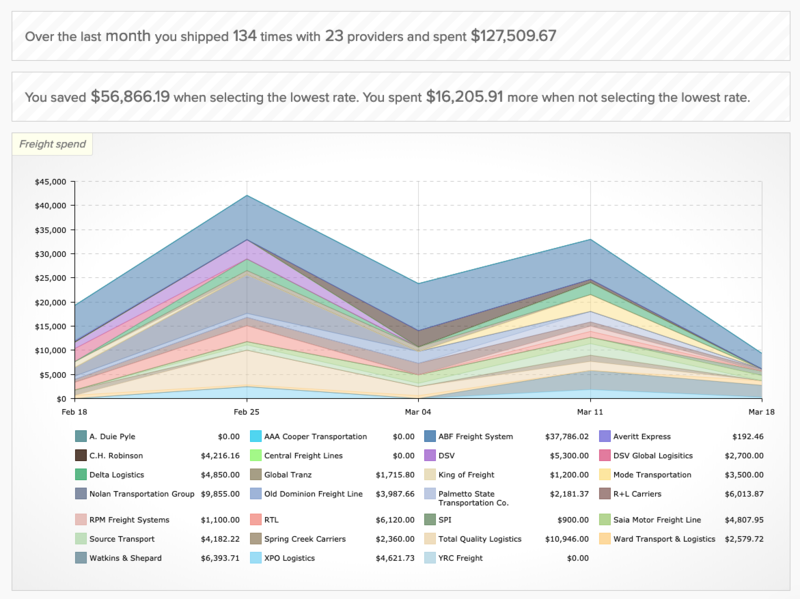 You can see that this shipper has shipped 134 times over the past month and spent a total of $127,509.67. You also see how much money the shipper has saved by choosing the cheapest carrier versus the second cheapest option. This shipper has saved a total of $56,866.19 just this month. Seeing every carrier option every time gave this company the power to easily make that choice. Scroll down a little further and you can see your savings and potential savings charted out. This is just a small portion of the analytic reports available to you through Freightview. 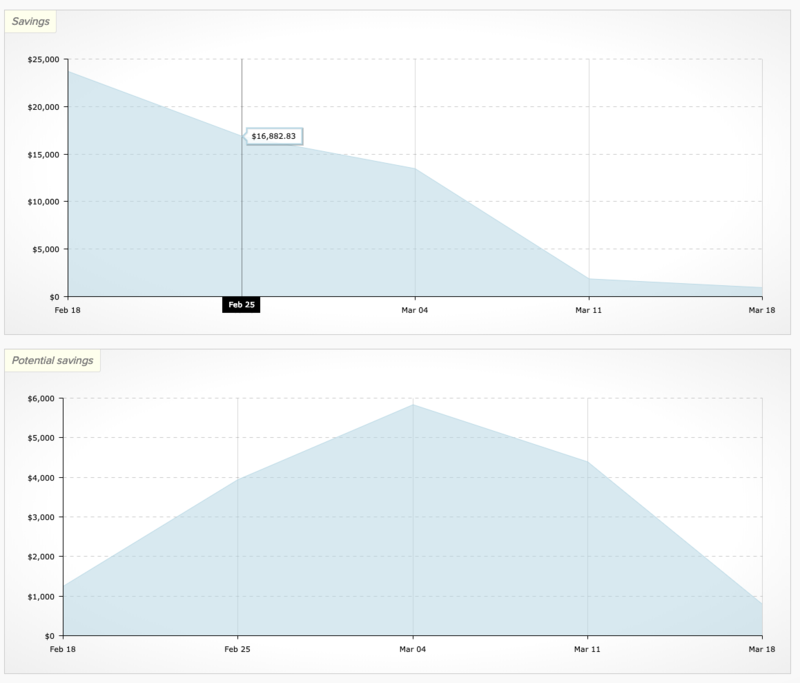 I definitely urge you to play around with your data in Freightview. You can even export all of your raw data. Save time, money, and gain access to powerful analytics by signing up for a free trial of Freightview today.